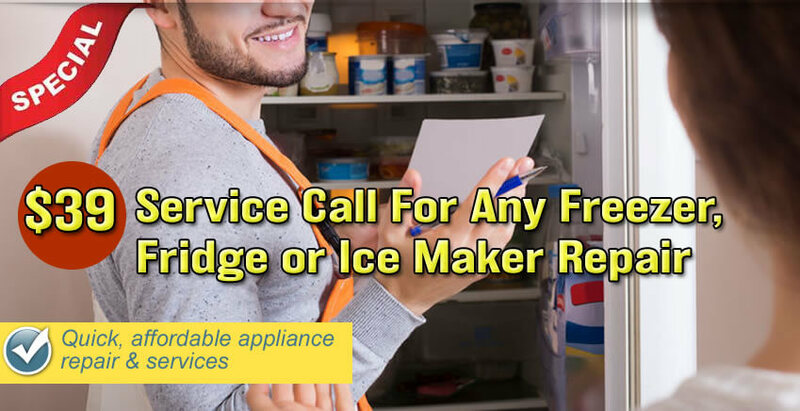 All Time Services company has been providing refrigerator and fridge repair services to customers in the Gaithersburg, Maryland, Arlington, Virginia and greater Washington, D.C. areas with superior refrigerator repair service since 1992. We’re a family–owned business company that services all major makes and models of refrigerators. Call us and we’ll quickly dispatch one of our licensed, background–checked technicians to your door. Our vans are fully stocked, so we’re prepared for almost any job. Our courteous, factory–trained technicians provide expert service and are EPA certified. Schedule your service now. 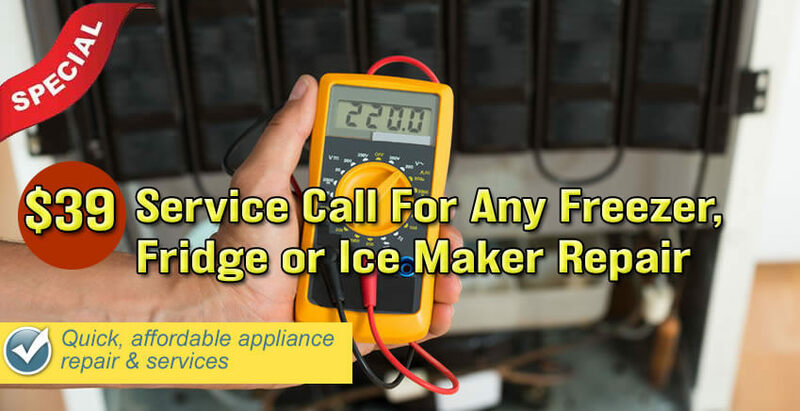 We offer a free service call with repair and there is never any charge for after–hours or weekend service. Ask about our low–price guarantee. Our quick, reliable, and affordable service is available to you 24 hours a day 7 days a week. 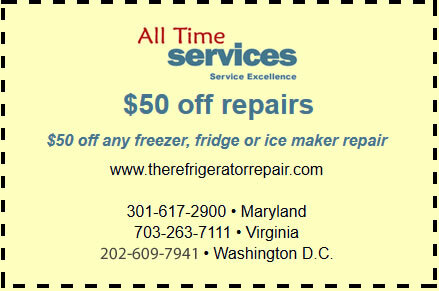 The next time you need refrigerator repair service, remember the only name you need—All Time Services, Inc. Call today. 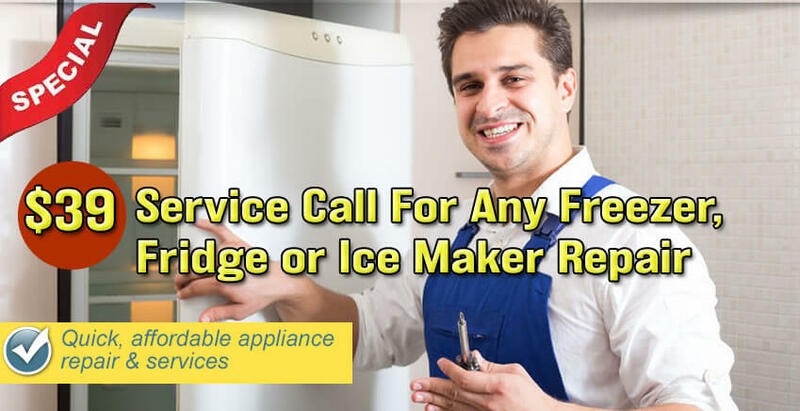 They have expert technicians who service all major brands of home appliances and are quick and reliable. Prompt, fast, courteous and reliable service. I will recommend them to family and friends! Thanks for your work. I want to thank All Time Services for the excellent service they provided me. These guys know what they are doing!